A majority of Croatians voted in a referendum Sunday to ban gay marriages in what is a major victory for the Catholic Church-backed conservatives in the European Union’s newest nation. The country of 4.4 million, a staunchly Catholic nation, became EU’s 28th member in July. Liberal groups have said the referendum’s question infringes on basic human rights. Conservative groups disagree. The Church-backed groups have gathered 750,000 signatures in its support. The Catholic Church leaders have urged their members to vote “yes” in the referendum. 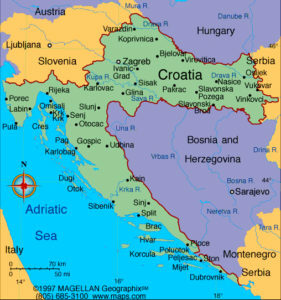 Nearly 90 percent of Croatians are Roman Catholics. The EU (European Union) hasn’t officially commented on the referendum, but has clashed with Croatia over some of its other laws, including an extradition law that has prevented its citizens from being handed over to the bloc’s other member states, which Croatia had to amend under pressure from Brussels. Thai Prime Minister Yingluck Shinawatra has rejected protesters’ demands that she step down, amid fresh clashes in Bangkok. Ms. Yingluck said the demands were not possible under the constitution, but that she remained open to talks. The protesters want to replace the government with an unelected “People’s Council,” alleging Ms. Yingluck’s government is controlled by her brother, ousted leader Thaksin Shinawatra. Mr. Thaksin was ousted in a military coup in 2006 that left the country bitterly divided. Ms. Yingluck’s government, which has broad support outside the capital, took office after winning elections in 2011. But the protesters allege that Mr. Thaksin runs the government from overseas exile and accuse the current administration of using populist policies that are hurting Thailand’s economy to remain in power. The protests, which began on November 24, had been largely peaceful until Saturday, when they became violent. Demonstrators tried to break apart police barricades and storm the prime minister’s office, with police using tear gas and water cannon to repel them. Paradorn Pattanathabutr, head of Thailand’s National Security Council, told Reuters news agency that security forces were “alternating between the use of water cannons, teargas and rubber bullets.” “Rubber bullets are being used in one area only and that is the bridge near [the Prime Minister’s office] Government House,” he added. Several schools and universities have closed, citing security concerns. Around 60 schools in Bangkok, as well as the main UN office, were shut, the AP news agency added. Ukrainian protesters blockaded the main government building in Kiev on Monday, seeking to force President Viktor Yanukovich from office with a general strike after hundreds of thousands demonstrated against his decision to abandon an EU integration pact. Demonstrations on Saturday and Sunday, which saw violent clashes with the police, drew as many as 350,000 people, the biggest public rally in the ex-Soviet state since the “Orange revolution” against [corruption] and electoral fraud nine years ago. Ukraine is divided between those who see stability in close ties with Russia and those who look westwards and see a more prosperous future with the European Union (EU). Since his election in February 2010, Yanukovich has sought to straddle the divide, reassuring Ukrainians he could pursue close ties with Europe while managing relations with Moscow. Even some supporters were shocked by the abruptness with which Yanukovich’s government announced it was suspending work on a long-awaited pact with the EU in favor of reviving economic ties with Russia. Scenes over the weekend of police beating demonstrators hardened opinion against him. “Yanukovich will do whatever Putin tells him to do,” said Oleksander, 49, on Kiev’s Independence Square, where protesters are setting up tented camps in preparation for a long campaign. “He’s been losing his legitimacy for a long time. His decision to send police in to beat up children was the last straw,” said Oleksander, adding he had voted for Yanukovich in the past and had joined the president’s Party of the Regions. c) What effect will the outcome of the referendum have on the law in Croatia? d) How many Croatians marched in Zagreb opposing the referendum question that marriage is matrimony between a man and a woman? b) Which country controlled Ukraine for centuries? Demonstrations kicked off in November after Thailand’s lower house passed a controversial amnesty bill, which critics said could allow former leader Thaksin Shinawatra to return without serving time in jail. Mr. Thaksin, one of the most polarizing characters in Thai politics, was ousted in a military coup in 2006. He now lives in self-imposed exile overseas, but remains popular with many rural voters. The amnesty bill, which was proposed by his sister Yingluck Shinawatra’s Pheu Thai Party, was eventually rejected by the Senate. 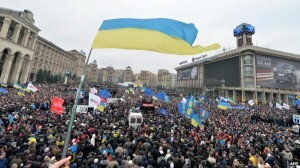 However, anti-government protests have continued. The protesters are united by their opposition to Mr Thaksin, and their belief that he is still controlling the current Pheu Thai government. The demonstrations are being led by Suthep Thaugsuban, a former Thai deputy prime minister who resigned from the opposition Democrat Party to lead the rallies. Around 100,000 opposition supporters rallied in Bangkok on November 24, although turnout has since dropped. The protests were largely peaceful for the first week but turned deadly when violence broke out near a pro-government red-shirt rally on Saturday, killing four people. The demonstrators have surrounded and occupied government buildings in an attempt to disrupt government and force Pheu Thai to step down. Mr. Suthep and his supporters say they want to wipe out the “political machine of Thaksin” and install an unelected “people’s council” to pick the country’s leaders. They say the government “bought votes” in the last election through irresponsible spending pledges. The protesters have vowed to continue their street rallies. However, it is not clear where these will lead. Ms. Yingluck’s Pheu Thai party still commands significant support, especially with rural voters. Pheu Thai also has a majority in the lower house, where Ms. Yingluck survived a censure motion put forward by the opposition on Thursday. It is thought that the party would win if it called a general election right now, although Ms. Yingluck has told the BBC that she does not intend to call an early election to address the crisis. She has also said that she would not authorize the use of force against the protesters. Some reports suggest that the demonstrators will have to disperse before December 5, when the country celebrates its monarch’s birthday. What impact will the protests have? Protests in 2008 and 2010 hit Thailand’s economy hard, especially the business and tourism sectors.